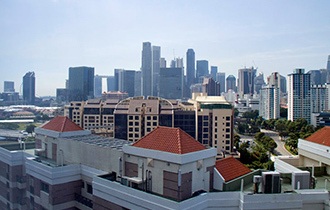 There are many mosques in Malaysia due to Islam being the official religion. 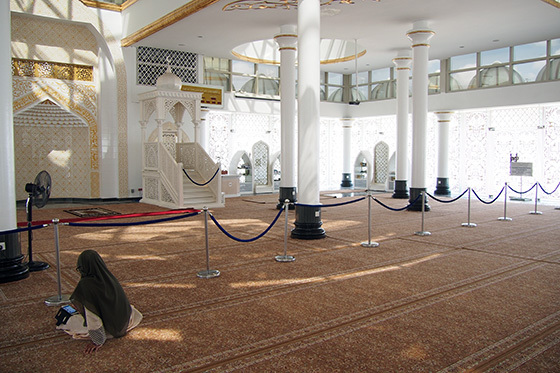 However, one of the most, if not the most, unique mosque in this country is the Crystal Mosque. 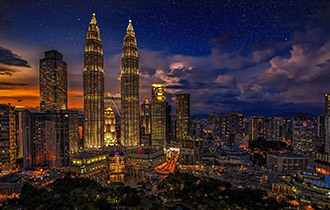 The uniqueness of this mosque has made it one of the most popular tourist attractions in Malaysia. 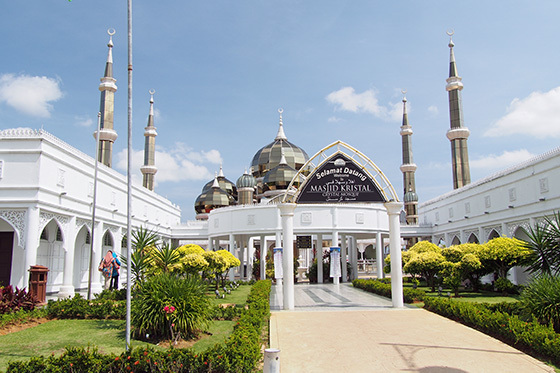 The mosque is located in the Islamic Heritage Park in Wan Man Island off Terengganu. 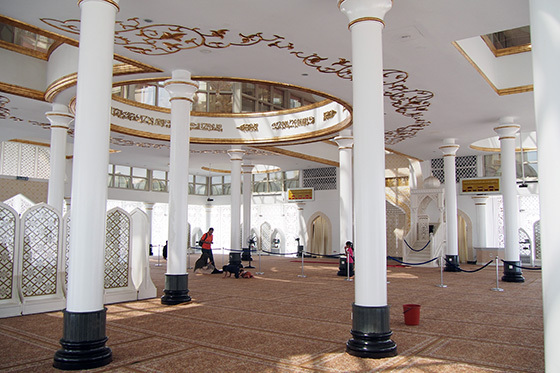 The mosque took two years to be built from 2006 until 2008 and was only opened to the public on 8th February 2008 by the 13th Yang di-Pertuan Agong, Sultan Mizan Zainal Abidin of Terengganu. The uniqueness of the mosque comes from its interesting exterior. 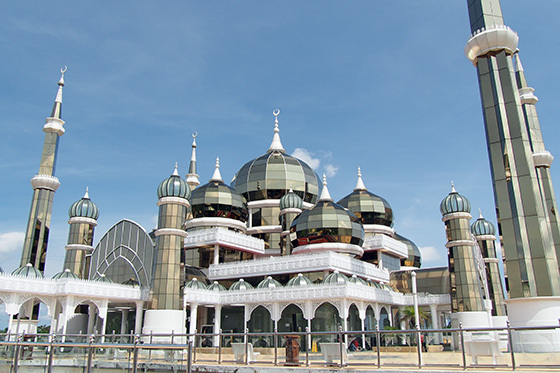 The mosque is coated with steel, glass and crystal which are the three main materials in the development of this magnificent piece of architecture which gave it its name. Its sleek and modern look is reflected off the river surrounding the mosque. The illumination from inside the mosque also makes it look like the glass domes are shining. The Crystal Mosque is able to accommodate up to 1,500 worshippers at a given time and also made its name internationally for its beauty. 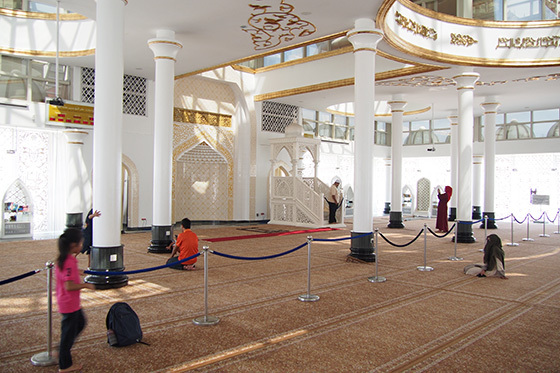 The Crystal Mosque is part of a larger tourist attraction, the Islamic Heritage Park. Aside from the Crystal Mosque, it is also showcases various replicas of other famous mosques such as the Taj Mahal, Masjid al-Haram, Aleppo Citadel, Al-Hambra Mosque. Among all the sites in this park, the main attraction has to be the Crystal Mosque. Imagine yourself standing on one of the great architecture wonders of today. 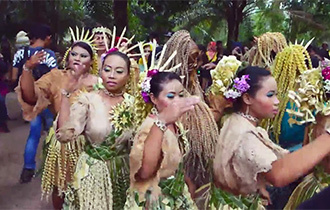 To some, this will definitely be an unforgettable experience, like being inside a fairy tale or legend. It is truly a work of art, both on the interior and exterior. 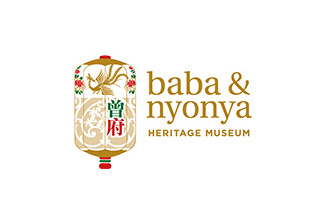 In fact, during your visit, do not be surprised if you see a photo shoot going on, especially wedding photo shoots. This place has become one of the top photo shoot venues that there is hardly a day without a couple posing for their reunion keepsakes. If you go to Kuala Terengganu, then this place is a must see. 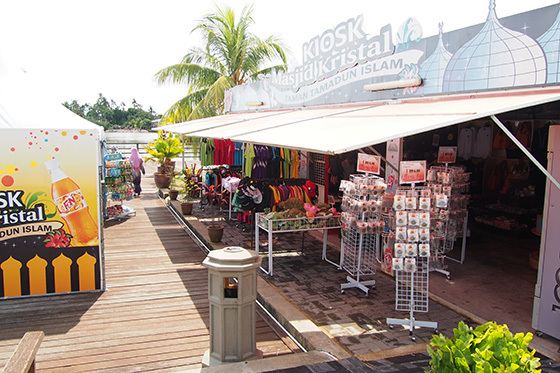 You can arrive in Kuala Terengganu by flight to the Sultan Mahmud Airport or take a bus from anywhere in Malaysia or Singapore. When you are there, do not miss out this breath-taking engineering achievement. Got any good tips to share with us? 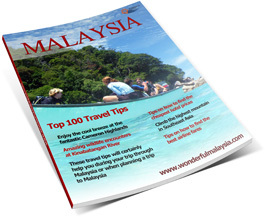 Do you know of any great things to do in Malaysia, or tips on the best places to eat? Let us know by leaving a reply below! I had seen many mosque during my visit in Malaysia but this crystal mosque is different from other in its structure and architecture. 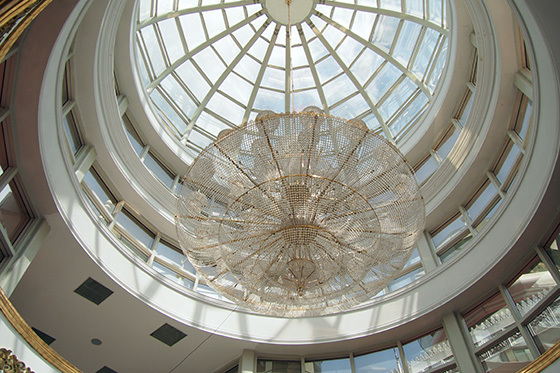 Its been decorated by shiny small glasses and chandelier. website? Itss very welol written; I love what youve got to say.